I don’t need your approval to install chiefs —Olubadan – Royal Times of Nigeria. The Olubadan of Ibadan land, Oba Saliu Adetunji, has said he does not need the endorsement of the high chiefs before he can confer honorary traditional titles on recipients. This development, which , could further deepen the crisis between the Olubadan and some of his high chiefs, who were elevated by the Oyo State Governor Abiola Ajimobi to the status of kings recently. 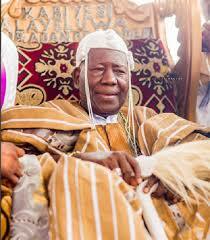 The new kings also had opposed the move by the Olubadan to confer traditional titles on Shittu and others on Saturday (tomorrow). But speaking through his Director, Media and Public Affairs, Adeola Oloko, on Thursday, the Olubadan said that he was aware of the high chiefs’ opposition to the ceremony. The monarch insisted that the decision to honour worthy individuals resided with him as the king.